Embrace South Africa Tours is proud to make use of the services of Ben du Toit as our part-time tour guide. Ben spend his whole professional career in managing inter-personal relationships. He is sensitive for each individual’s personal needs – in a small or larger group. Ben’s keen interest in the “story behind the story" and his passion for relevant historical facts and stories, makes him the ideal tour guide. Born in Malawi, and partly growing up in Zimbabwe, he is knowledgeable about Southern Africa, also planning and leading numerous overland tours in the past decade to Namibia, Botswana, Zimbabwe, Zambia, Mozambique, Malawi and Tanzania. He resides in Kuilsriver (suburb of Cape Town) and loves the city, the Cape Peninsula, the West Coast and the Whale Coast (Hermanus areas). You can rely on Ben to take you on an unforgettable tour along these areas. Ben did his tourist guide training at Livingstone Tourism Academy, and is a qualified guide for the Western Cape. 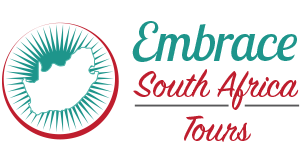 We at Embrace South Africa Tours team up with Ben on all our tours.